Sky Blue® is a new rabbit-eye cultivar developed by Plant & Food Research (New Zealand). It is a semi-upright plant, of medium to strong vigour. Fruits are firm and aromatic with a good balance of sugar and acidity. Fruit size is large, averaging 2.3 g per berry. The berries have a nice bloom and shelf life is excellent. Yields have been rated high in the Waikato and Hawke’s Bay regions in New Zealand (test plots). Sky Blue® ripens together with the latest ripening V. corymbosum variety available, but shows overall superior characteristics. Sky Blue® requires a cross pollinator and is not suitable in regions with harsh winters. A North Carolina State cultivar. 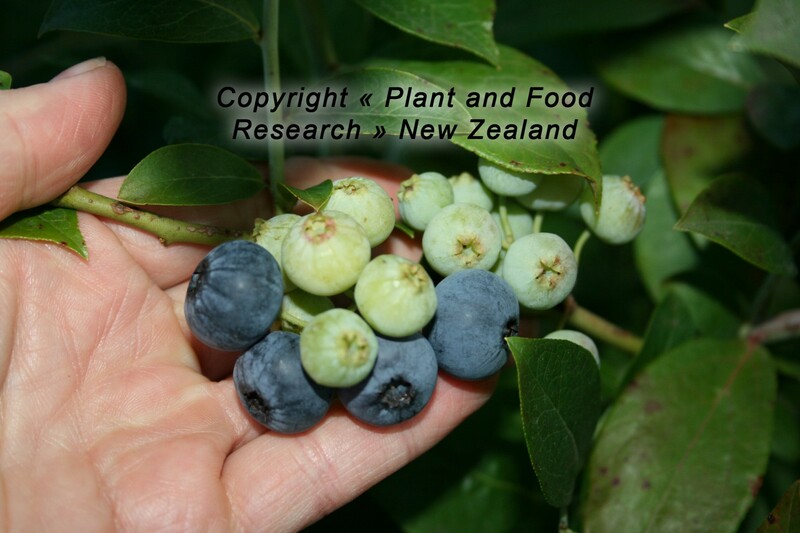 Ripens mid-season (50% of crop), about 12 days ahead of the late cultivar Powderblue. In damp environments, fruits are resistant to breaking. Fruit are large and uniform in size. Columbus® requires a cross pollinator and is not suitable in regions with harsh winters. Centra Blue® is a new rabbit-eye cultivar developed by Plant & Food Research (New Zealand) from the Centurion and Rahi varieties. It is a semi-upright plant, of medium vigour compared with its parents Rahi and Centurion which are very vigorous varieties. The flowering time is generally late. Centra Blue® also crops very late, up to a month later than the Powderblue variety, depending on the geographical location. Fruit are generally well presented for ease of picking. Berries are large in size and very round. Some fruit can be slightly oblong in shape (but this is difficult to visibly spot without measurement). Fruit are light blue with good flavour and very little grittiness. 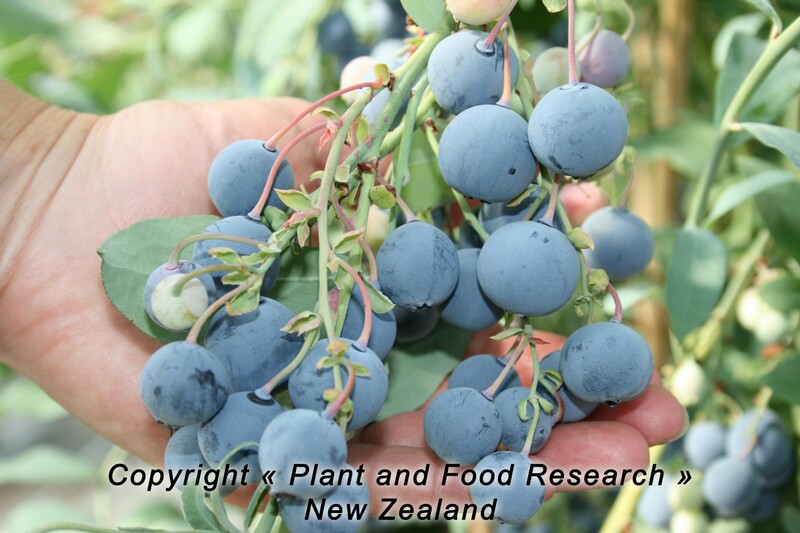 Initial tests performed in New Zealand have shown it to be a very productive variety. 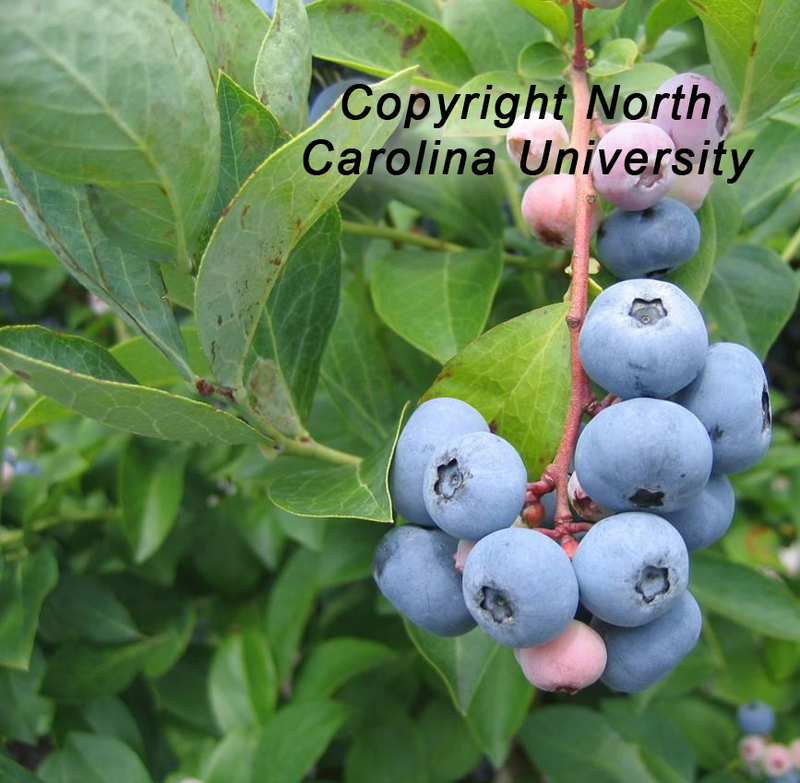 Centrablue® requires a cross pollinator and is not suitable in regions with harsh winters.